Everything starts off with a banana and ends with the Rhapsody of Liszt. And we promise to not have revealed too much! 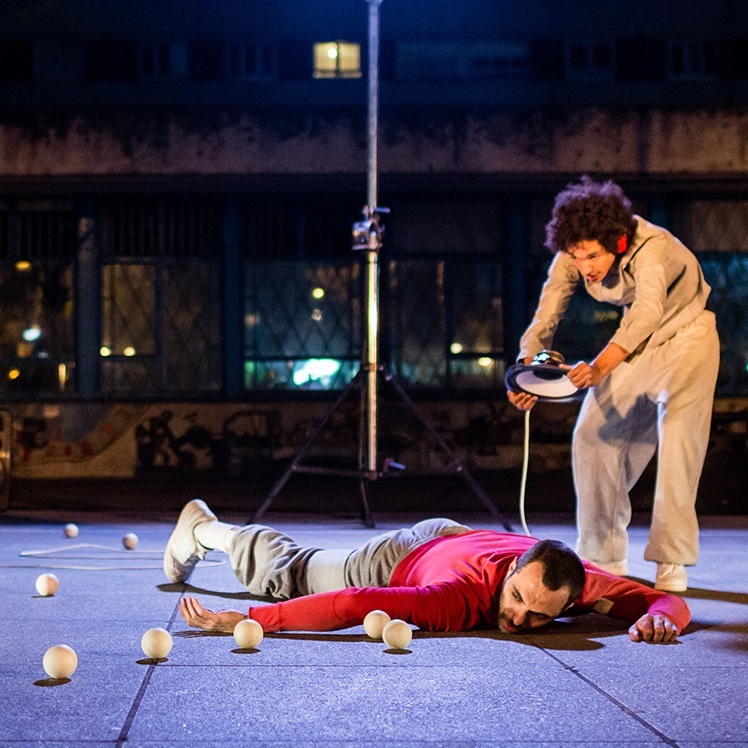 In this comic yet hypnotic ballet of extremities and juggling balls, the two extraordinary jugglersEric Longequel und Guillaume Martinetgo up to and beyond their limits, accompanied and driven by the excellent live soundtrack of DJ David Maillard. The three wonderful artists try to break their own rules, challenge each other’s ideas and bend concepts. It is an intelligent, deeply human and hilarious expression of searching and finding your way. For three years we havebeen trying to invite these three mind-blowing artists with their show and we are SO stoked that they arefinally here! 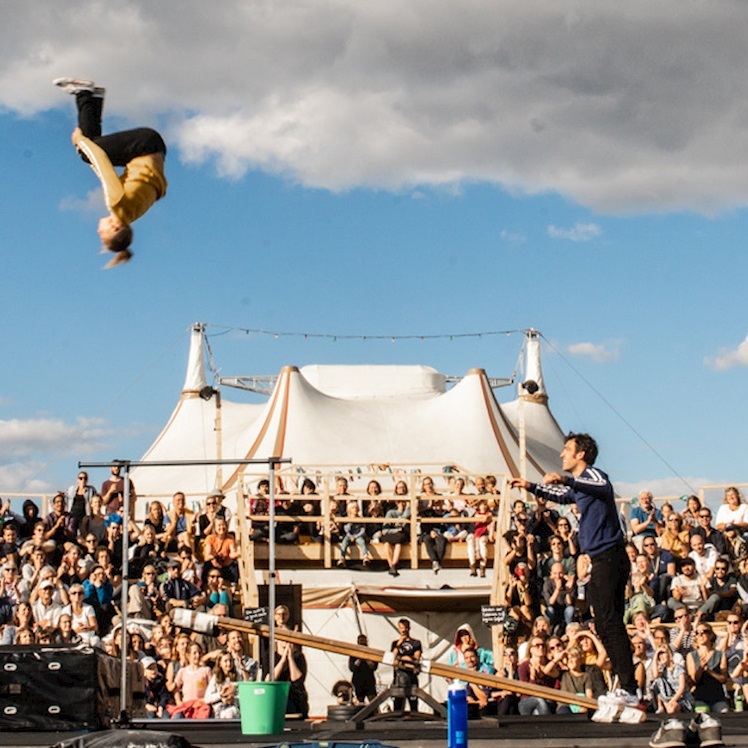 Defracto was founded to create juggling projects with a different physicality. With their award-winning performances they have been touring all over the world in over 30 countries.